I was in a fabric store a while back and I saw a batik print the sort of looked like bricks. I would've gotten it, but the bricks were too small for my tastes. It looked a lot like the print above found on Ebay. 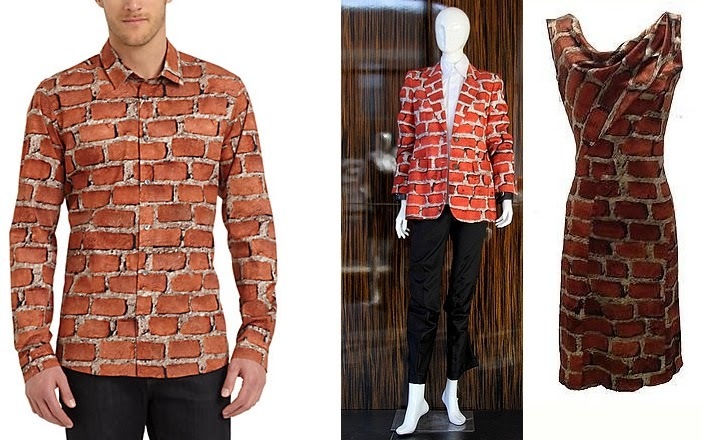 I like brick print so much because I feel like if I wore it I could blend in to brick walls when ever I chose. There are a lot of brick buildings in my city. It would be so much more practical than jungle camo. 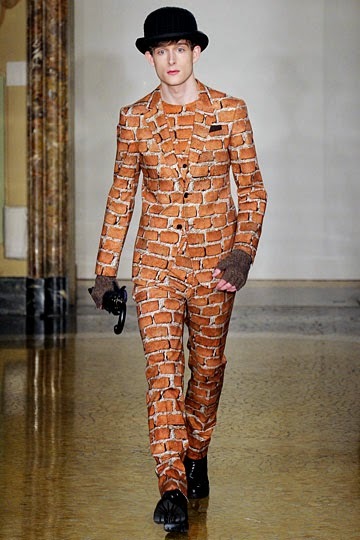 I am much more enamored by the look of these large bricks found on Moschino Couture. These pieces are a few years old, but you might be able to find them on ebay. They are quite expensive. I totally want that dress, though. The only other thing I could find with realistic looking brick print was these leggings from Blue Magik. 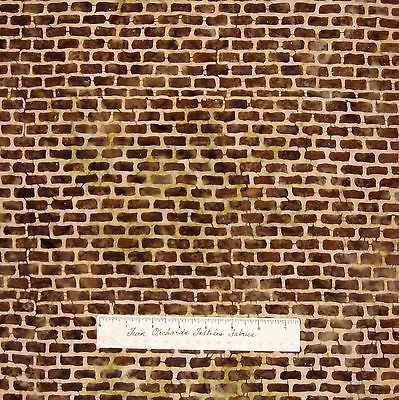 If I am ever feeling abitious, I think I might make some of my own brick-print fabric. I don't think I would be too hard to tape off some lines and sponge on some bricks. But please, whatever you do, don't go full brick. Not too sure about the red bricks though.. sort of reminds me of bacon, haha. But that print in the first picture looks glorious! I'm really liking it. Good find! Hope you find/make your perfect brick print! Haha! You just made me love it a little more. Bacon is the best! Thanks. I love the Moschino dress, so avant garde! I know. I want it.